original collage fine art for sale, antique paper butterfly prints, vintage papers, vintage maps, by Ouida Touchon, artist. artwork for sale, assorted sizes. A lovely vintage butterfly print used as the centerpiece of this original artwork. A collage of handmade paper and art papers from Japan. This woodcut collage uses the chine colle technique, and is a one of a kind image, signed by the artist. 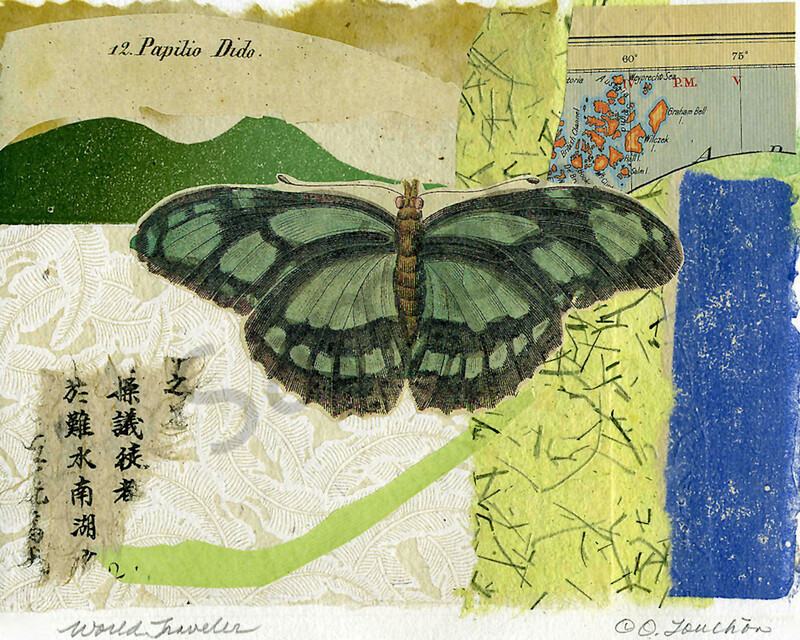 I add vintage butterfly engravings and touches of patterned Asian papers and vintage map pieces.